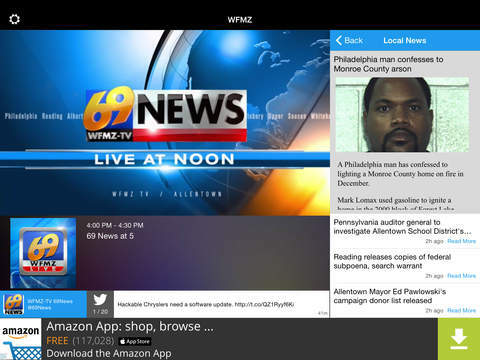 The 69 WFMZ Live App streams 69 News and other select WFMZ-TV programming. You can watch every 69 News broadcast live right on your mobile device. Stay current without changing your plans and get news, weather, sports, traffic, emergencies, and breaking stories, as well as some syndicated entertainment programming as it becomes available. With our on demand feature, you can watch newscasts and stories you may have missed. Also, you can watch the latest weather information live on the 69 News AccuWeather Channel. 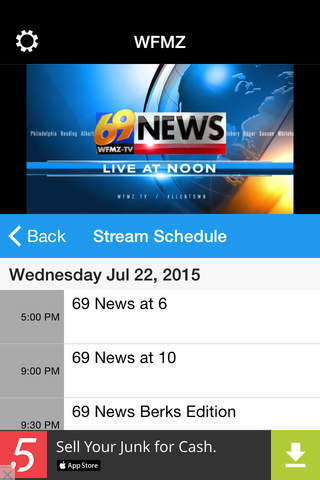 Now you can take the power of 69 News and WFMZ-TV with you anywhere! Please note: This app features Nielsen’s proprietary measurement software which will allow you to contribute to market research, like Nielsen’s TV Ratings. Please see http://www.nielsen.com/digitalprivacy for more information.